Big Majors Spot has a fabulous tourist attraction which I have deemed The Barnyard. 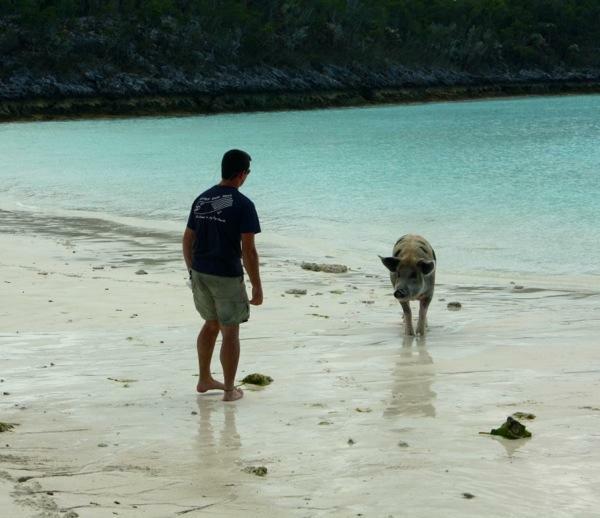 On the beach bordering the anchorage there are pigs. 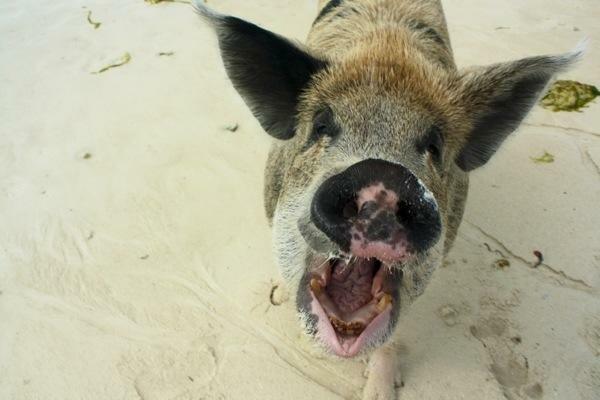 Yes, pigs, just lounging around on the beach. 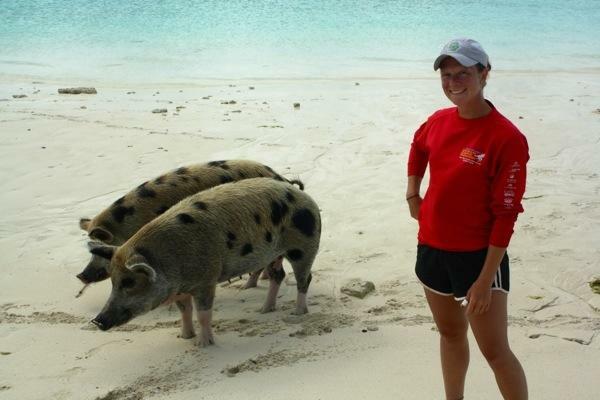 Apparently Bahamians leave the pigs at the beach and then cruisers feed them all of our scrap produce. 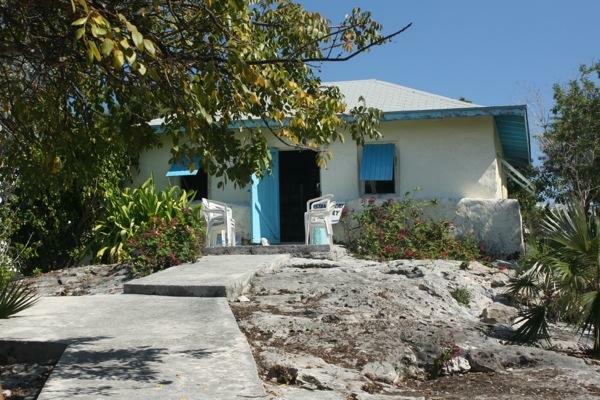 This is not only a tourist attraction but an intuitive method of farming. You can imagine me squealing with delight as we hopped into our dinghy to go visit the pigs. As we approached there were no pigs in sight, and then as we neared the shoreline two massive pigs came barreling down the hill toward the water. 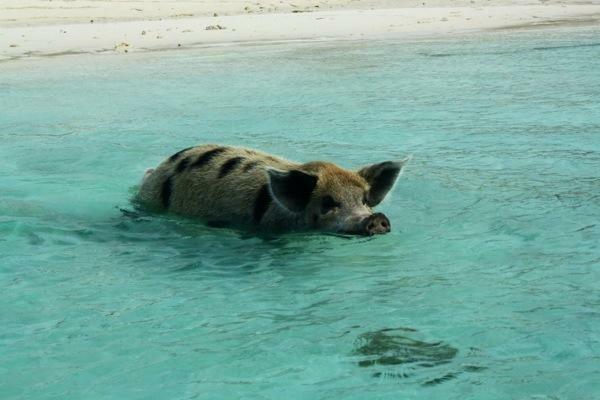 We’d been cautioned that the pigs not only swim but will try to board dinghies, so we slowed down and thew out the anchor anticipating what may happen next. Here they come! 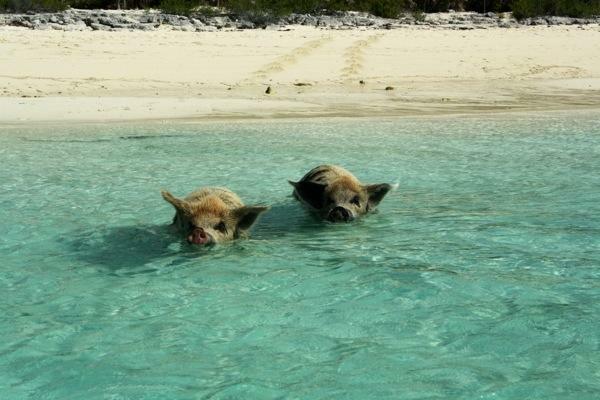 These pigs are tourist trained! Getting a bit close for comfort. We let the pigs settle down. They were grunting and squealing in disgust that we hadn’t yet fed them. They lost interest and headed back toward the beach. 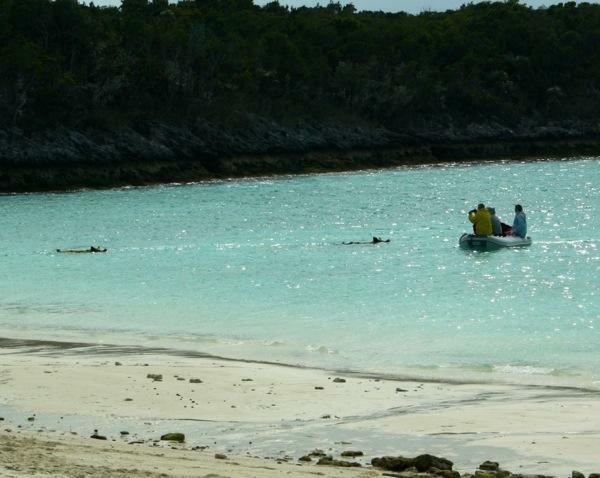 We brought the dinghy closer and anchored in ankle deep water so that we could walk ashore. Why yes, that is a potato in my pocket. Happy to be in The Barnyard! New arrivals means more food. Catch ya later, piggies! 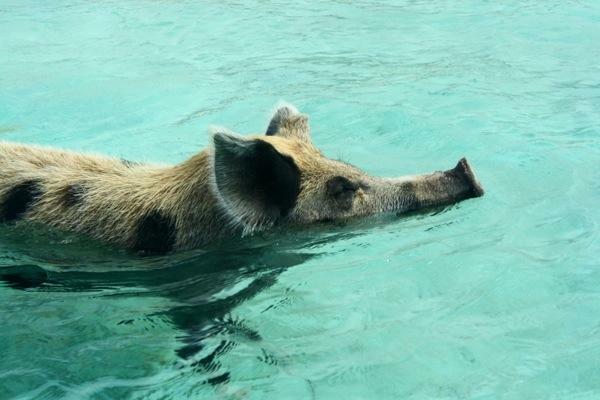 Now we know for certain that pigs can swim. 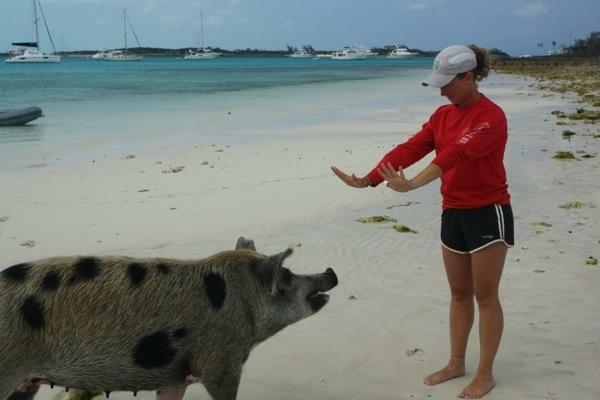 This entry was posted in Uncategorized and tagged 20130209, bahamas, big majors spot, exumas, pigs, staniel cay by stephanie. Bookmark the permalink. Wow! That is some pig! I have never seen one with a snout like that on him. It looked almost like a short elephant’s trunk! You have the most wonderful adventures. Is this where Bruce and Kathy will see pigs? The ones I saw when I Googled Swimming Pigs were much prettier pink pigs. That’s amazing! Later, I’m off to get a McRib sandwich at McDonalds….keep ’em outta that salt water, I’m on a low sodium diet. A creative way to brine bacon I guess. Hmmm we do need an alternative method of preserving meat now that we don’t have refrigeration…I think we’ll be revisiting those pigs! We are bringing Bruce and Kath to the pigs. Apparently there are other too, pink ones, a black one, and piglets! Maybe they’ll show themselves for our special guests. You would LOVE them, they were so fun!